The history of the right to equal treatment has taken Canada from an era where the law allowed pejorative discrimination, to broad prohibitions of discrimination in all its forms. The journey was marked by victory after victory, but Canadians have come to understand that to fully succeed on the road to equality, not only must the legal barriers be removed, social attitudes and expectations must also change. The lecture will trace some of Canada’s victories over the pernicious idea that people can be denied opportunity and benefits because of personal characteristics like their gender, their race or their sexual orientation. 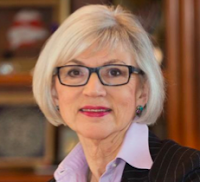 Chief Justice McLachlin spent her formative years in Pincher Creek, Alberta and was educated at the University of Alberta, where she received a B.A. (Honours) in Philosophy in 1965. She pursued her studies at the University of Alberta and, in 1968, received both an M.A. in Philosophy and an LL.B. She was called to the Alberta Bar in 1969 and to the British Columbia Bar in 1971 and practised law in Alberta and British Columbia. Commencing in 1974, she taught for seven years in the Faculty of Law at the University of British Columbia as a tenured Associate Professor. Her judicial career began in April 1981 when she was appointed to the Vancouver County Court. In September 1981, she was appointed to the Supreme Court of British Columbia. She was elevated to the British Columbia Court of Appeal in December of 1985 and was appointed Chief Justice of the Supreme Court of British Columbia in September 1988. Seven months later, in April 1989, she was sworn in as a Justice of the Supreme Court of Canada. On January 7, 2000, she was appointed Chief Justice of Canada. She is the first woman in Canada to hold this position. In addition to her judicial duties at the Supreme Court, the Chief Justice chairs the Canadian Judicial Council, the Advisory Council of the Order of Canada and the Board of Governors of the National Judicial Institute. The Chief Justice is the author of numerous articles and publications. Please click here for online registration to reserve a place.